Sasaki Time: How many songs from Disney are eligible for The Oscars? How many songs from Disney are eligible for The Oscars? The Academy of Motion Picture Arts and Sciences today announced that 39 songs from eligible motion pictures will be considered for nominees as Original Song fr the 84th Annual Academy Awards. Nine of the selected songs, come directly from Disney films. The number becomes even more impressive if you consider that two of the other shortlisted songs are affiliated with The Walt Disney Company: Star Spangled Man’ from Captain America: The First Avenger, which of course is a property of Disney’s own Marvel, and ‘The Living Proof’ from The Help, a DreamWorks film which was marketed and distributed by Disney’s Touchstone Pictures. Disney’s potential nominees are: ‘The World I Knew’ (Disneynature’s African Cats); ‘Collision of Worlds’ (Disney/Pixar’s Cars); ‘Hello Hello’ and ‘Love Builds a Garden’ (Touchstone Pictures’ Gnomeo & Juliet); ‘Life’s a Happy Song,’ ‘Man or Muppet’ and ‘Pictures in My Head’ (Disney’s The Muppets); ‘The Backson Song’ and ‘So Long’ (Walt Disney Animation Studios’ Winnie the Pooh). 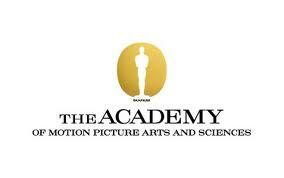 The 84th Academy Awards nominations will be announced live on Tuesday, January 24, 2012, at 5:30 am PT in the Academy’s Samuel Goldwyn Theater. Academy Awards for outstanding film achievements of 2011 will be presented on Sunday, February 26, 2012, at the Kodak Theatre at Hollywood & Highland Center®, and televised live by the ABC Television Network.